I’m so honored to present you the very first ever guest post written by lovely Grace from Texan in Tokyo about perks of getting married young. 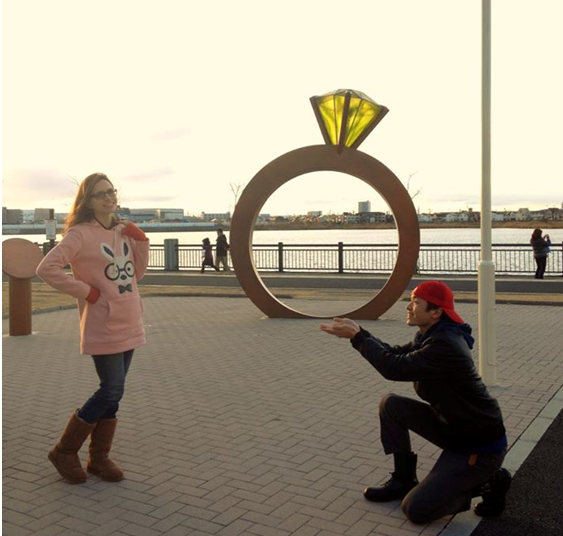 I absolutely love it and I’m also little bit jealous – ‘Why couldn’t I think of it? !’ because when I was reading it for the first time I could relate to it. But see it yourself and enjoy, everyone! I fell in love with Lina’s “My Hong Kong Husband” blog for a lot of reasons. She has a funny, relatable way of writing, she shares all the ups and downs of her relationship with Sing, and her posts can teach you so much about Hong Kong Culture. But the main reason I fell in love with this blog was because, deep down inside, I felt like she was just like me. Let me explain- we have the same basic story, with slightly different details. Both Lina and I got married very young. Both of us are white, from a “Western country” (she is from Poland, I am from Texas). Both of us have lived in our husband’s home country. Both of us run blogs where we talk very publically about our life, our intercultural marriage, and our time living abroad. I think comments like that are a bit rude. People have all sorts of negative stereotypes for “young brides” or “young couples,” but most of the time, those stereotypes are completely untrue. 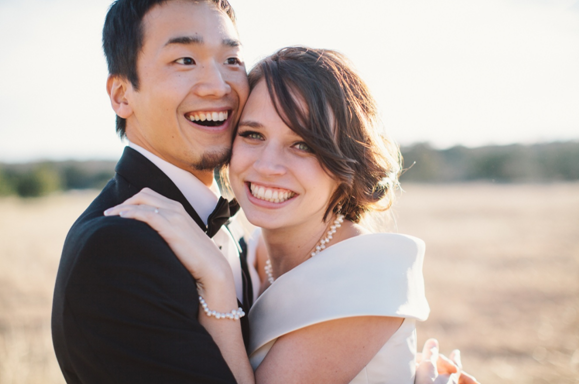 My husband and I’s marriage wasn’t rash or rushed. He proposed on our one year anniversary; we got married one year later. We had plenty of time to think about it. By the first month of engagement, we had clear six month, one year, three year, and five year goals. 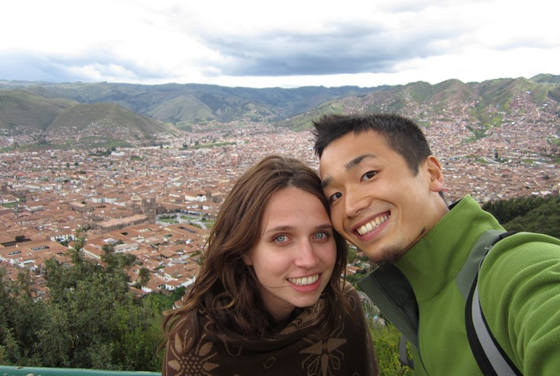 We had both graduated from college, he had a wonderful job in Tokyo, and my freelancing career was taking off. We were financially independent. Through my marriage, I was able to write the book “My Japanese Husband Thinks I’m Crazy: The Comic Book” about our daily life in Japan. I draw comics about our life as an interracial and intercultural couple in Japan, about being broke newlyweds in Tokyo, and about being a freelancer abroad. I am currently running a campaign to fund this book – if you would like to pick up a copy/PDF of the comic book, please follow this link. Growing up is hard. It can be scary. And even though I’m married, I still have a lot of growing up to do. Thankfully, I have Ryosuke right beside me. He is my best friend. We can talk about our fears and problems together… and of course we are changing. But we are changing together. I love being married. I love being able to turn down work parties (“My husband and I are going hiking on Saturday, sorry!). I love being able to wake up next to Ryosuke every morning and snuggle with him every night. I love getting to do “married couple” things like pick out shelves from Ikea, brainstorm baby names, plan biking trips around Japan, and using a game of poker to divide the chores. We have plenty of time to enjoy married life before even thinking about children. I love traveling. I enjoy backpacking through foreign countries, meeting all sorts of new people, and trying weird/unique food. However, I also really want to have a large family sometime in the future. I want four kids; my husband wants three. And because we got married so young, we’ve had plenty of time to travel, eat crazy food, meet unique people, try a bunch of hobbies, and have fun as a “couple” before even thinking about having children. I love it. I didn’t date very much (like, at all) when I was younger. I thought it was silly how people would get so invested in a person – to the extent that they lose their own self, their goals, their grades, and their social life. I didn’t want to be that kind of person… so I chose not to date anyone. And I was pretty lonely. By the time I got to college, I was going to parties once a month, drinking more than I should, and crying alone in my room because no one would love me I needed to be loved. Then I met my husband. He broke my “no dating in college” rule. And as we ‘grew up together, I became a much happier, more secure person. I’m not sure if your twenties are actually the best years of your life. But I’ve had more fun in my three years with my husband than in the decade before it. I am a very anxious person. I used to have panic attacks because I thought people might not like me. Or that they were judging me and laughing at me behind my back. As I got older, I realized that yes, people were talking about me behind my back. That’s what people do. And then there’s my husband – he just doesn’t care about any of that. He is one of the most carefree and confident people I have ever met. He doesn’t understand my anxiety… but he has helped me find ways to cope with it. In the end, my husband has the only opinion that matters. People can find a way to hate anything… and my husband has taught me that it’s so much more rewarding to just “do my thing” than to worry about what other people think. Even if everyone else thinks the dress I’m wearing looks stupid, as long as both my husband and I think it looks cute, I’m ok. I like saying the word “husband.” I like typing the word “husband” on my blog. I love being able to draw about our life as a “married couple” in Tokyo. Thanks for reading! I run my own blog, “Texan in Tokyo” where I draw comics and blog about daily life as the white wife of a Japanese salaryman. Yup. All these reasons be good ones. In the end I think it’s great that you’re sharing these stories, because people need to see that their thoughts on marriage and what’s-going-to-work are just that: thoughts. They’re not fact, and they certainly don’t apply to everyone. My personal experiences are that marriage doesn’t depend on age, it depends on maturity. My wife is young, but our one year anniversary is next week and we’re going better than ever. Then again it’s four years since we met, so there’s that. I’m so glad I was able to share my story – and it’s so great having you as a blogging friend! Oh Lina, you are such a tease! 😉 What a great article Grace! I think that whenever someone is ready to get married, they should get married. It doesn’t matter on one’s age however, it matters on their level of maturity, their commitment to one another, and their ability to love someone whole-heartedly. Grace and Ryosuke are each other’s soulmates, we all know it, and we all love them for it! Lina, you are amazing for having Grace post her article on your blog. Grace, you go girl! I think a lot of it depends on what you mean by young. If you were through with college, I’d hardly call that unusually young. A lot of people have a fair idea of who they are and what they want by then. I married in my mid twenties. To me, that was rather old. If I’d met my husband earlier, I’d still have married him within a year or two. I’m romantic that way. However, I think it was a lot easier when I was older. I knew what I hadn’t liked about my past relationships and avoided it. I knew how to weather the ups and downs of life with my partner. I could have learned all that stuff after marriage, but it was nice that I didn’t have to. We can’t time love. I think a lot of people try and let it pass them by. I think it’s important to be bold and take some risks. When people make rude comments it might be because they’ve had bad experiences themselves. Love is always a risk, though, and marriage even more so. I think it’s important to be aware of those risks and go into it with your eyes open. I also think it’s important to have faith and not allow fear to keep you from happiness. Amazing post! I personally think it’s good that I didn’t marry young, but then again I was with the wrong person and for me it would have been too early. I’m happy I got to move abroad on my own before finding my Mr. Right. But seeing your story here and on your blog, I can see you two are made for each other 🙂 You are very fortunate to find your husband early! I totally agree with you about enjoying the married life without kids first. That’s what me and my hubby want too for the next two to three years. About time someone said it. I just have to comment on this because its so true. I got married at 19 not for a green card nor because I was pregnant it was just because we knew we couldn’t be without one another and it was a blast five years later we decided to start a family but you know we did enjoy our time. Great post. About time someone said it. I had to comment because its so true. I got married at 19 and not for a green car or because I was pregnant just because we knew we couldn’t be without one another and we did have a blast five years later we decided to start a family but it has been fun. Great post. However, while reading it, I realized I’m exactly like this in my relationship, but we are not married or even engaged yet. What I mean is, I also think I’m going to spend the rest of my life with him (what’s the point of dating if that’s not the case?). And if I could, I would totally wake up next to him every morning, even if we’re not married. I don’t think I’ll ever feel different if we get married someday. It’s just… the same? I mean, we already give our best and respect each other, and we already talk about future plans. I also have a security net, in a sense that he just treats me well, no matter if we’re married or not. So, I don’t understand the people who made a fuss over the fact that you married young. I mean, isn’t it just a piece of paper? What’s so bad about being married “young”, if you feel like your partner is the right person for you? I understand that marriage usually means something more serious than a boyfriend/girlfriend relationship for many people (probably because divorcing is harder and takes more time than breaking up), but they shouldn’t judge you over that. 21 years old is old enough to know what you want in life (for some people, but not everyone). My own mother had my sister at that age, and she’s the best mother ever (of course!). I love this post Grace. You are so transparent. People can be very opinionated some times. Just ignore that. In our case it depends on the person, some of my Western friends thinks we are very young and married( I turned 27 in May), some of our Chinese friends consider it the right age and say we should already have children. But at the same time, I found interesting when my cousins told me they never though I would ever get married because “I have been independent and abroad since very early”, I find it funny because they are all older than me and only two of them got married, so they have a very interesting perspective. If you live abroad, you never get married…or something like that. If people say that you might be wasting your talent …I can’t imagine what else you can do, honestly. Every time you publish something new I just think “this girl has more than 24h a day, cause I just cant even open a blog”, you run a blog, now you also do vlogging, a comic book, freelance articles about how to….what else!!! I honestly think that I am more in peace with myself since I found Tony. I focus on things better and I know we are a team. I always have support, whatever I do, same for him. Why we didnt get married earlier? Simple, because we didnt meet earlier. Our relationship started in 2011 and we are doing better than ever. We just met at this age and this is the way things are going. Everyone leads his / her own life, timelines are something that should not be applied for marriage or children. wonderful. So true! Especially the fact that you “have plenty of time to enjoy married life before even thinking about children.” very good point. I agree with you. For me my married life and the years before being and living together with my future wife have been much “richer” than all the years before! Thank you for sharing. You guys are so cute! Other people are probably just jealous they haven’t found love yet. When you know what you want, why wait? Great article! It doesn’t matter if you’re young when you marry. People who marry older don’t always have working relationships, so age is not a factor that determines if your marriage will work or not. This post definitely made me smile. I’ve been with my husband since I was 18 and we’ve been married since I was 19–going on our 4th wedding anniversary now and I definitely love the “growing up together” factor. 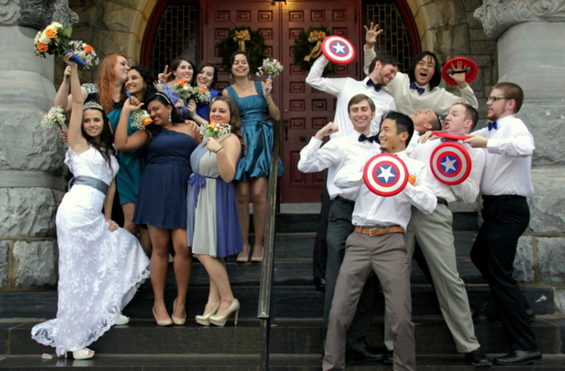 Not everyone wants to or gets to marry at a young age but it can be a pretty fun way to live. And I know I’m braver married than I am single. I wouldn’t have had the guts to move to China on my own–but with my husband, I’m totally comfortable with this adventure! Great list, Grace. I agree with the others that it’s more about maturity. And honestly, people will always complain about what you’re doing. You married too young, you’re not married, you had kids too soon, you waited too long to have kids, you have too many kids. You definitely can’t please everyone, so just live your life! “Young folks don’t want to grow old and when I was in my 20s and 30’s I wasn’t too keen about it either. There’s a saying that “youth is wasted on the young” and most older folks understand that. I’d never want to be in my 20’s again but I’d have no problem staying 62 forever. Przepraszam… Lina? Masz na imię Lena, prawda? Haha, jejku. A z ciekawości, jakich znaków użyłaś w śwoim chińskim imieniu? 🙂 Pozdrawiam!